Do You Work in One of the Most Dangerous Jobs in America? While some professions—such as law enforcement and firefighting—clearly put workers at risk on a daily basis, other workers face much less obvious but very serious potentially fatal hazards on the job. 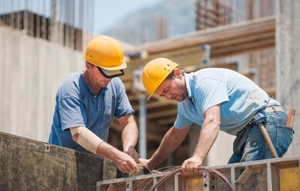 According to the U.S. Bureau of Labor Statistics, 4,836 workers died in workplace accidents in 2015—the highest number of fatalities since 2008. Many of these workers are employed in lower-paying jobs that require physical labor. While workers’ compensation benefits may help surviving families replace their loved ones’ income, it cannot compensate them for the loss of companionship and support of that family member. What Are the Causes of On-the-Job Deaths? Transportation accidents led as the primary cause of fatalities, resulting in 1,264 deaths in 2015. Falls, trips, and slips caused 800 deaths, with falls to a lower level accounting for 81 percent of all of these fatalities. Contact with equipment and objects caused 722 deaths. Violence or other injuries by people or animals resulted in 713 fatalities, with 417 being the result of a homicide. Exposure to toxic substances accounted for 424 worker deaths. Fires and explosions caused 121 deaths in 2015. Construction. Deaths in construction increased by two percent in 2015 to 924 deaths—the largest increase since 2008. The “fatal four”—falls, electrocutions, being struck by objects, and being caught in objects—continued to be the major cause of deaths. Construction laborers, carpenters, electricians, plumbers, pipefitters, and steamfitters also recorded the highest fatality total in years. Farming, fishing, and forestry. Fatalities in farming, fishing, and forestry industries, such as logging, increased 10 percent in 2015. Farmers, agricultural laborers, and workers in greenhouses and nurseries saw a whopping 33 percent increase in deaths in 2015. Long work hours and use of heavy machinery and equipment contributed to these life-threatening injuries. Airline pilots and flight engineers. While deaths decreased by 30 percent in 2015 to 57, pilots and flight engineers continue to experience a higher level of fatalities than other professions. One reason is an increase in aircraft incidents. Trash and recyclable collectors. Vehicle-related accidents, falls, and exposure to toxic chemicals and substances are a few of the risks that garbage collectors and recyclable workers face that could result in their deaths. Structural iron and steel workers. Slip and falls contributed to many iron and steel workers’ deaths and injuries in 2015. This is not surprising since these workers must install steel and iron beams and use cranes and other heavy equipment while performing their work. Drivers and truck drivers. While fatalities in the transportation and moving-materials industries decreased in 2015, they still accounted for one-quarter of all fatalities. In addition, heavy and tractor-trailer truck accidents caused 745 fatalities, the most of any occupation. Electrical power line workers. Working from heights and with electrical wires are just a few of the hazards that electrical power line installers and repairers face daily that can cause their deaths. Firefighters. Firefighters are exposed to many dangers on the job not only from fires, but also from working from heights and exposure to toxic substances like chemicals and asbestos that can cause a terminal occupational illness. Police officers. Police officers face many dangers that could lead to their deaths, including assaults and traffic-related accidents. They also have one of highest rates of injury of all professions. Taxi drivers. According to the Occupational Safety and Health Administration (OSHA), taxi drivers are 20 times more likely to be murdered than workers in other professions. They also face an increased risk of dying in a vehicle accident given the nature of their job. Were you injured on the job? Was a family member killed in a workplace accident? I have been helping workers obtain the workers’ compensation benefits they deserve for over 20 years. Review my testimonials to see what other clients are saying about my services and then call my office to schedule your free, no-obligation consultation.